You may wish to pre-populate some of the form fields in your published forms to minimize the number of fields a user has to fill in. This can be a useful time-saving device for your users. 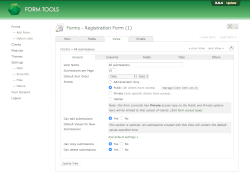 To do this, the Form Builder is compatible with a feature already in the Form Tools Core. On the Edit Form » Views » Edit View page, click on the first tab. There, at the bottom of the page, add in whatever default values you want for each of the form fields. 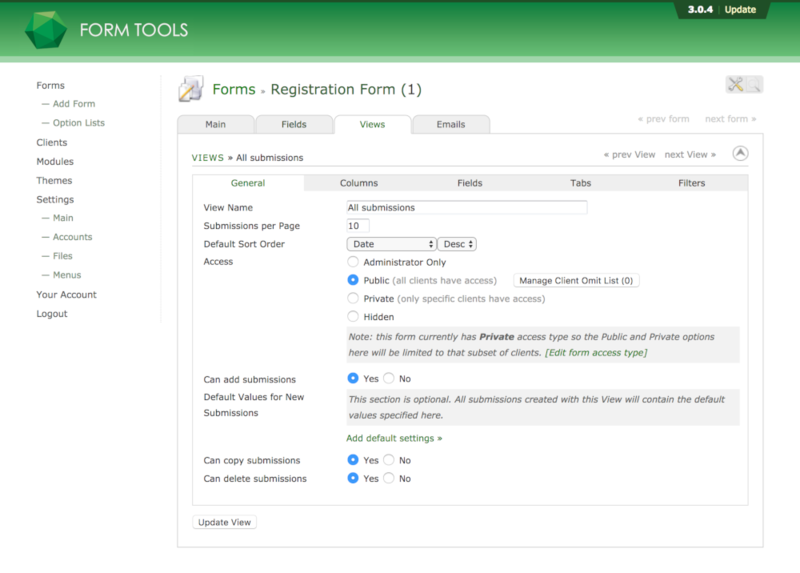 After those values are added, all published forms that use that View will have those values added for new forms submissions.